Skills and abilities: Genius level inventor. A genius level inventor who worked in the inner city as a repairman. So engrossed in his work was he that he didn’t realize his community being overrun by violence and crime. 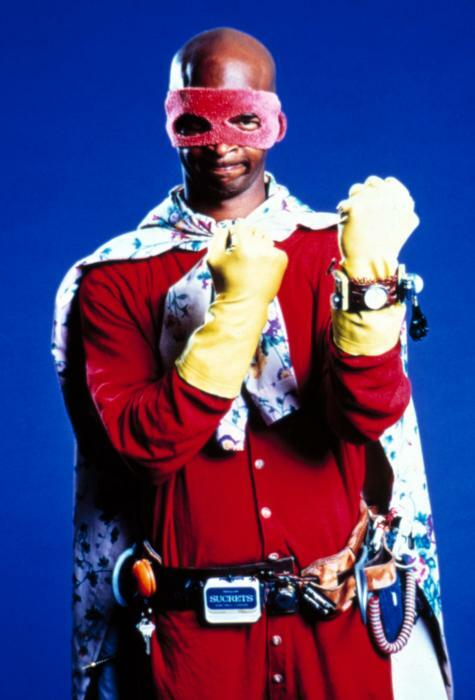 The death of his grandmother inspires him become the superhero “Blankman” and clean up his neighborhood. He’s so successful he becomes loved and adored by the city and eventually defeats the last major gang in his community. After his brother discovers his secret identity he makes him his sidekick “Other guy”.